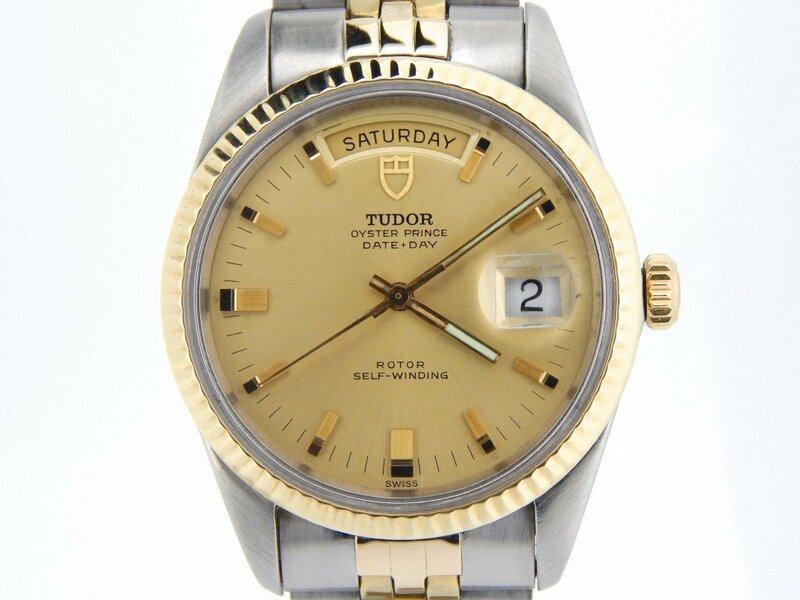 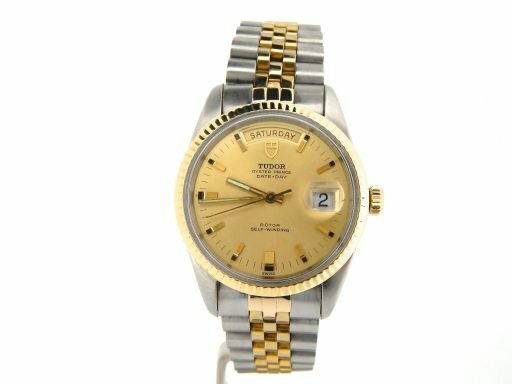 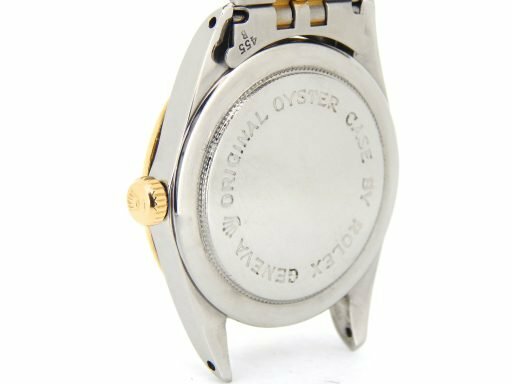 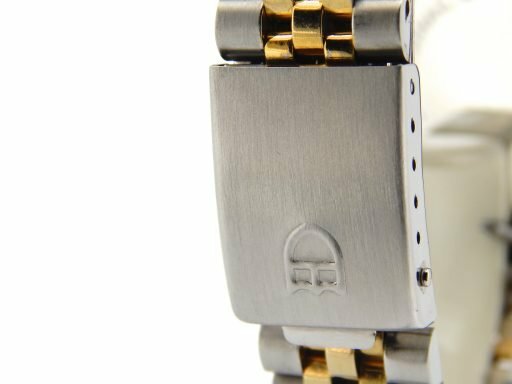 This is a handsome Mens 100% GENUINE TUDOR 14k Yellow Gold/Stainless Steel Oyster Prince Date-Day Watch ref#7019 that is guaranteed to impress. 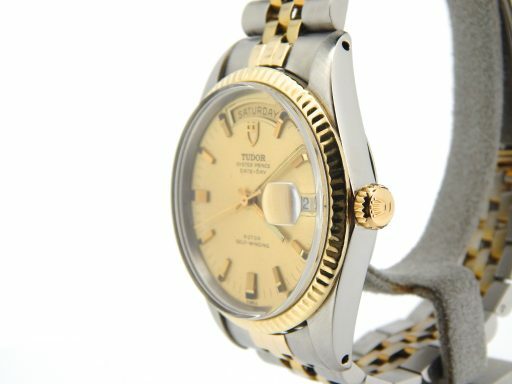 It is in EXCELLENT CONDITION! 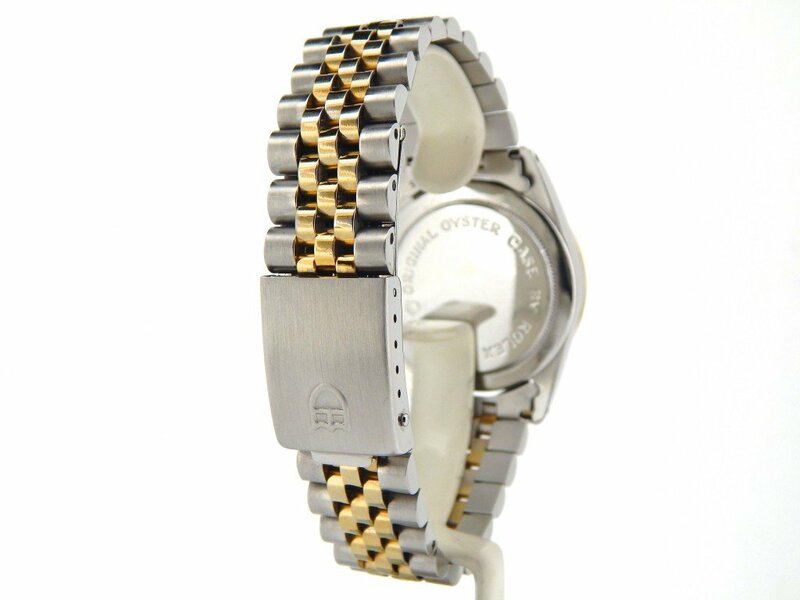 It comes with the Beckertime 100% Lifetime Trade-Up guarantee! Hands down it doesn’t get any better than this. Movement Original Tudor 21 rubies self-winding automatic movement “1895” is running strong and keeping excellent time. Dial Original Tudor gold champagne dial with raised yellow gold stick markers is in pristine condition. 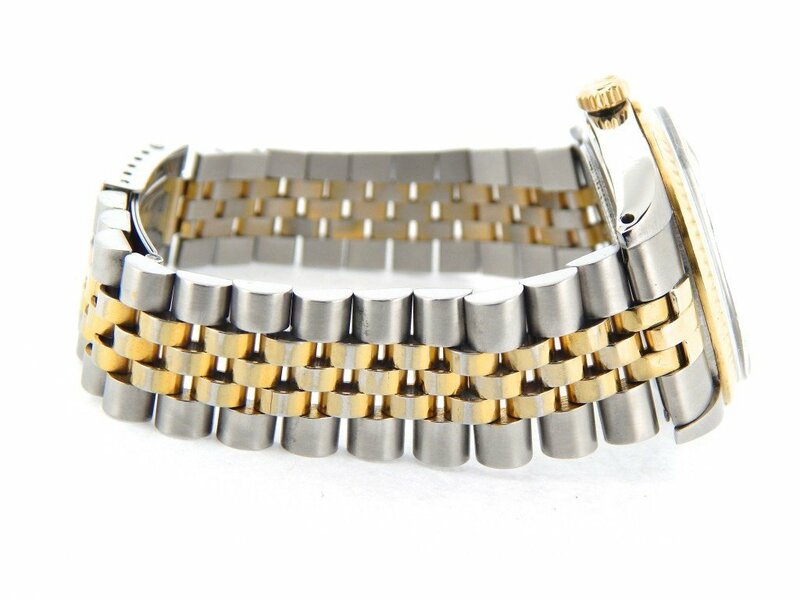 Case Rolex stainless steel case is in excellent condition. The crown on the case features the Rolex signature crown. Band Rolex 2tone 14k yellow gold-plated stainless steel jubilee style bracelet with Tudor-signed clasp is in excellent condition with stretch between the links. 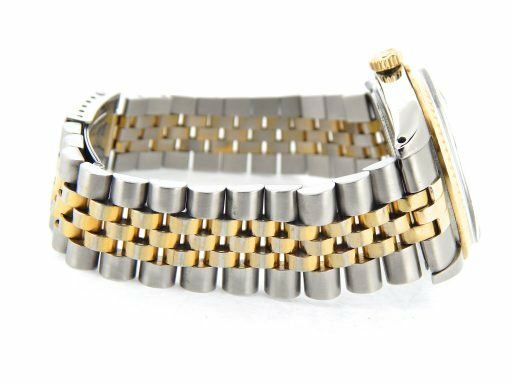 Wrist Size It will fit a 7″ up to a 7 1/2″ wrist.We have additional links that can be purchased and added to fit a larger wrist size. 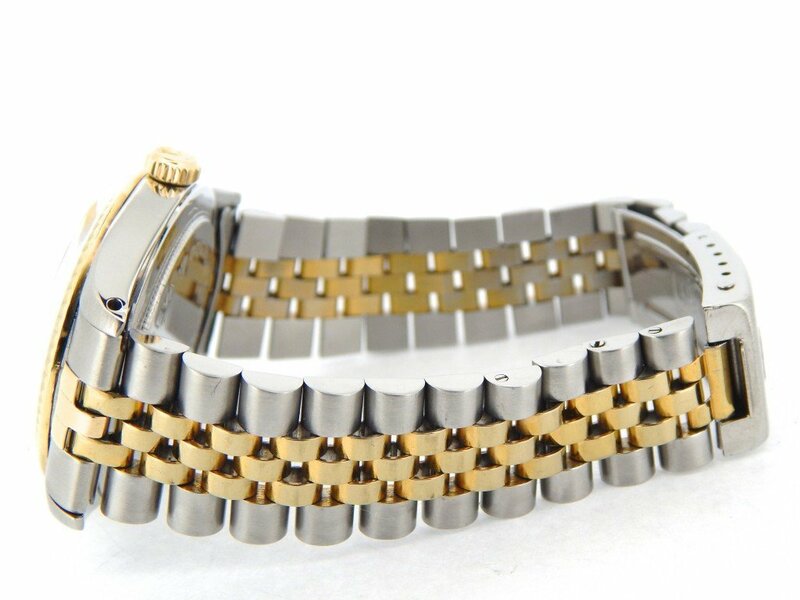 Each link adds approx. 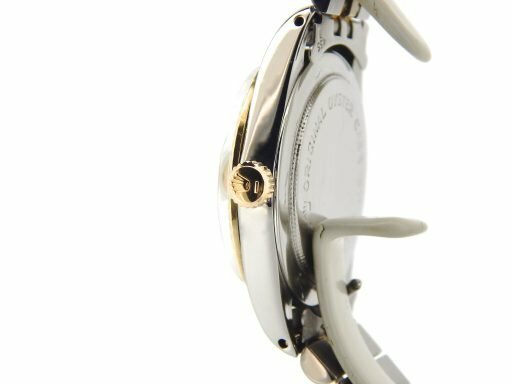 1/4″.